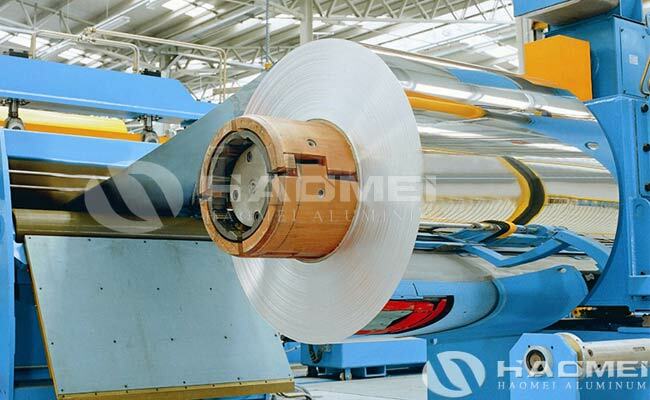 The high reflectivity aluminium sheets can achieve high refractive index and high reflectivity through new processes without increasing the cost in Haomei Aluminum. And the mirror aluminium sheet with high reflectivity is widely used in lamps, advertising materials, solar reflectors, decorative materials, etc. The surface of reflective aluminium sheet is as clean as a mirror, without silk, the reflectivity can be up to 86%, high reflectivity mirror aluminum sheets can be up to 95%, the application area of reflective aluminium sheets are signage, nameplates, lighting, reflective, advertising printing, decoration and optical instrument industry. It has the following characteristics as stable price, cost saving, high reflectivity, light energy saving texture, easy to form surface, hard to scratch, direct processing, no pretreatment. Besides of high reflectivity aluminium sheet, the reflectivity of other materials are: high-reflection vacuum aluminum-plated composite energy-saving material is 88%, stainless steel reflector is 44%, white paint reflector is 3.8%. The weather resistance of reflective aluminium mirror sheet are outdoor exposure is more than 2 years, and indoor aging is greater than 10 years. The tensile strength (longitudinal and transverse) > 160mpa, elongation at break (longitudinal and transverse) > 70%, heating expansion and contraction rate (longitudinal and lateral) <3%, melting point > 238 ° C.
If you want to buy high reflectivity aluminium sheets for sale, welcome to contact us to request samples for free trial, and we can provide a variety of thickness, width, length cut to size, so that your product quality is more competitive and profitable in the market.